No, Man of Steel is not an expensive remake of the 1978 blockbuster movie titled Superman which starred Christopher Reeve. Neither is it anything like the more recent Superman movies that promised so much but ultimately delivered far less than what was anticipated. 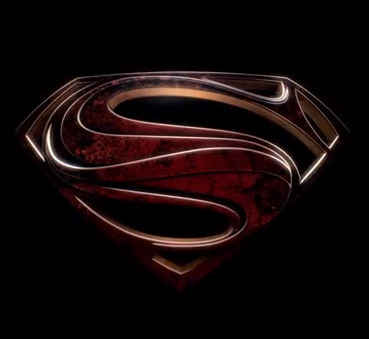 Man of Steel, to put things plain and simply, is a must-see. Of course, the movie will not win critical acclaim for a carefully thought out storyline or for intricacies in its plot. But it will have its audience holding its breath mesmerised by the fight scenes, awed by its visual composition and, when it ends, begging for more. Of course, there are parallels to the original 1978 classic here and there. 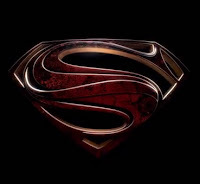 The movie begins at Krypton, a doomed planet where Jor-El and his wife find a way to send their newborn son Kal-El to Earth in a capsule and into safety. In the Man of Steel, the computer-generated images in the opening scenes at Krypton alone are quite stunning already. There are no dazzlingly bright quartz crystals but instead the dark landscape of a planet that is on the verge of imploding. In a manner of speaking, Man of Steel is that kind of movie that has everything without really losing its focus. It is still undeniably a fantasy movie; but it is also a Science lesson, an enriching visual experience, a disaster movie, a fight movie and many more. It takes a leaf from Star Wars and other outer space-themed sci-fi movies in its use of laser weaponry; and also gets inspiration from films like Avatar in its animation of fictitious flying creatures. The story is not told in a straighforward manner. There is no landing in a farm somewhere in the middle of Kansas. Neither is there a happy upbringing in a farm at the hands of the childless Kent couple. Instead, from the implosion of Krypton, a grown up Kal-El or Clark Kent, his earthly persona, is immediately shown somewhere over the Bering Sea with a crab-fishing ship. This is how the Man of Steel’s story is told. The story flashes back every now and again to the past and that is how the audience is acquainted with how Clark Kent was brought up. Because the plot is simple enough and something most everyone will be ultimately familiar with, the frequent segues to the past and then back to the present do not really complicate the movie and make the story difficult to follow. Growing up, Clark Kent is a dark and brooding character, quite the opposite of how the 1978 classic told his story. If I did not know any better, I would have suspected that the writers borrowed a leaf from the story of Juan dela Cruz, likewise a character tortured by the search for his identity. In fact, Man of Steel in its entirety is generally darker than Superman the Movie ever was. The latter was told with Seventies charm and humour. 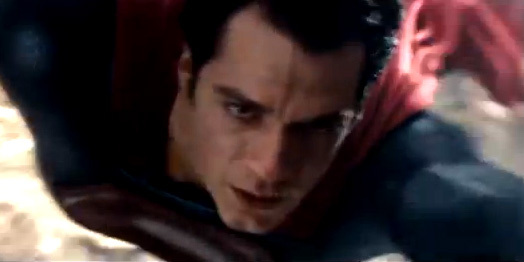 In contrast, Man of Steel can even be intepreted to be a movie of pain, both physical and psychological. The fight scenes against his compatriots from the planet Krypton, for instance, are not triumphal as should befit the common conception of a superhero. Instead, he takes as much as he is able to give and is often portrayed to be vulnerable. As an upgrade over a previous version, Man of Steel is a significant one. Not only does it make full use of twenty-first century CGI technology, it also incorporates scientific knowledge accumulated over three decades since Superman was first shown. The bending of space, for instance, is something that was only recently expounded upon by those who think out the theories of Quantum Physics. This and the properties of the Black Hole are used to make the movie plausible; albeit in a liberal sense as is the way of Hollywood. Those familiar with UFO cover-up theories will also instantly recognise that some of the thinking behind these are used in the movie. In fact, in another radical deviation from the Superman classic, Kal-El is presented as an alien from another world. Of course, he always was; except that in the seventies, the concept of aliens from outer space was simply dismissed as something akin to lunacy. Thus, Superman the Movie made no attempts to disguise itself as anything but a fantasy. In contrast, Man of Steel makes every attempt to portray the arrival of aliens with advanced technology as something inevitable and only a matter of time. It is one of those movies that nobody should miss and is already bound, like its 1978 predecessor, to be another classic. What are you waiting for?